The Chubb Lloyds Health Insurance Company of Texas review is a review of the Chubb Lloyds Insurance Company of Texas. The Chubb Lloyds Insurance Company of Texas is a member of the Chubb Group of Insurance Companies. The Chubb Lloyds Insurance Company of Texas has received an A++ (Superior) financial strength rating from the A. M. Best Company. See a side-by-side health insurance quote comparison by using our free online tool today. Enter your zip code above to see you comparison now! This is a brief history of the parent company of the Chubb Lloyds Insurance Company of Texas, the Chubb Group Insurance Companies. The Chubb Insurance Company was founded in 1882 by Percy Chubb and his father Thomas Chubb. The Chubb Insurance Company began as a marine insurance company that served the port district of New York City and wrote insurance for ship and the ships’ cargo. By 1967, the Chubb Insurance Company has changed its name to the Chubb Corporation and had expanded its business through mergers and acquisitions. In 1984, the Chubb Corporation began being traded on the New York Stock Exchange under the listing CB. Today the Chubb Corporation has around 120 offices spread throughout 27 countries in Europe, North America, Asia, and South America. The Chubb Corporation employees more than 10,000 people worldwide and works with over 8,000 independent insurance brokers and agents. The Chubb Insurance Group of Companies offers a wide range of business and personal insurance products. 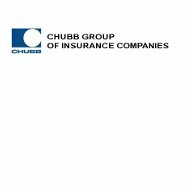 The types of business insurance offered by the Chubb Companies include professional and management liability insurance, property and casualty insurance, and industry specific commercial insurance. The types of personal insurance offered by the Chubb Companies include car insurance, home insurance, watercraft insurance, valuables insurance, and other types of specialized personal insurance services. Some of the professional and management liability insurance offered by the Chubb Companies include cyber crime liability insurance, fiduciary liability insurance, kidnap or ransom and extortions insurance, and errors and omissions liability insurance. With a specialty insurance like kidnap or ransom and extortion insurance, the Chubb Companies provides companies with a policy that protects them from this ever-growing crime trend when they travel abroad. The commercial property and casualty insurance options offered by the Chubb Companies include environmental insurance, excess liability insurance, general liability insurance, umbrella liability insurance, marine insurance, machinery breakdown insurance, multinational insurance, property insurance, package insurance options, workers compensation insurance, and risk management insurance. The environmental insurance options offers contractors pollution liability insurance, which protects when a contractor operation causes an incident of pollution, and environmental site liability insurance, which offers coverage for food processors, schools, municipalities, real estate owners, and general manufacturing companies. The types of industries that are covered by the Chubb Companies’ industry specific commercial insurance plans include asset managers, broadcasters, banks, energy, cultural institutions, entertainment businesses, information and network technology, health care organizations, law firms, life sciences, insurance companies, real estate businesses, and wineries. For those seeking personal insurance the Chubb Companies offer many great options. For car insurance, the Chubb Companies offer typical car insurance and collector car insurance. Some of the benefits included in a Chubb Companies car insurance policy include the use of original equipment manufacturer, or OEM, parts, the ability to choose a repair shop, no parts depreciation, and an agreed value on the car. An agreed value is an upfront settlement value of the car that is determined before an accident ever occurs. With a Chubb Companies, home insurance policy the policyholder can insure a conventional home, a condominium, or a co-op. The Chubb Companies also offer renters insurance and flood insurance. With the valuables insurance policies offered by the Chubb Companies include a policy for jewelry, a policy for art and antiques, and a policy for special collectibles. The Chubb Companies believes in giving back to its communities and the world as a whole. The Chubb Companies accomplish this by having multiple environmental and community programs. The Chubb Companies also support sustainable development efforts and the impact of climate change. The Chubb Lloyds Insurance Company of Texas does not offer personal lines of health insurance but there are many health insurance providers in your area that do. To compare health insurance rates today enter your zip code now!